The Cranbourne area is quickly gaining momentum as a destination-to-visit for true bargain hunters, not least due to the number of charity shops located within coo-ee of each other. And while every one is deserving of our support, there is a thriving little endeavour tucked away slightly off the South Gippsland Highway in Cranbourne that I would like to recommend as well worth a visit. The Avocare Op Shop, located on Grace Street, sells a well-balanced selection of brand new and pre-loved wares in a very pleasing environment. And once you've checked it out, be sure and spread the word along the grapevine so everybody knows. This is one secret we do not want kept. The industrious team at Avocare are doing some great work, providing necessary support for their local communities. One of their initiatives that really struck a chord with me is their program providing breakfast to local kids who would otherwise have to go to school hungry. The Avocare factory in Cranbourne also offers work for the dole opportunities, teaching some very worthwhile skills while giving members of their community some confidence-building direction and purpose. Relying heavily on word-of-mouth referrals, you might never know this chirpy little op shop was there. 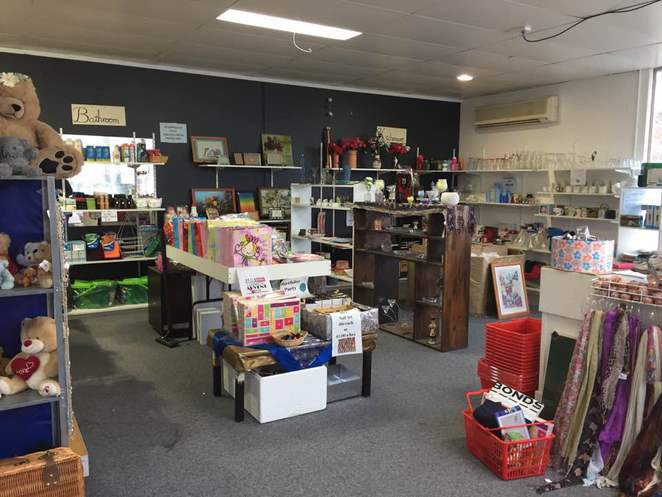 Tucked away on the aptly named Grace Street in Cranbourne, just a few meters off the South Gippsland Highway north of the main shopping centre, the Avocare Op Shop fills an office space alongside an attached factory. The shop is clean and very well presented with a great range of stock that is jaw-droppingly well priced. Volunteers consist of work-for-the dole candidates, who are able to pick up some very valuable retail experience, while out in the factory they learn how to make shelving units, which are used in other charity shops. Then, the company as a whole focuses their attention heavily on the re-distribution of food in association with Foodbank Victoria. The reduction of waste, particularly food related waste, is a current talking point and vital enterprise that is swiftly gaining traction with the wider community, not least due to recently aired television program, War On Waste hosted by Craig Reucassel on the ABC. Nobody likes to see good food and resources going to waste. 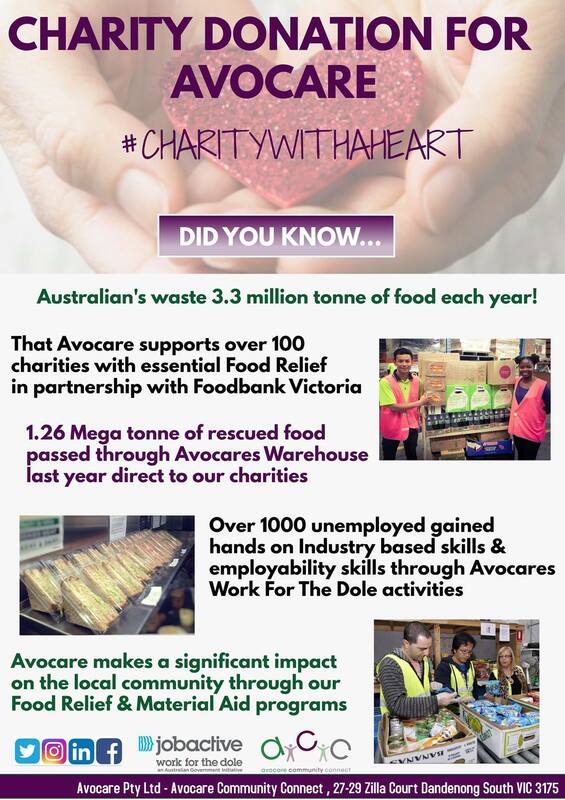 Avocare can boast some very impressive figures in their plight to see a reduction in food waste. Collectively the company has shifted 1.26 mega tonnes of rescued food through its doors, redistributing what they can to the people in our community who need it most. On a local level, I was especially keen to learn more about Avocare's breakfast for kids program. School children, who would otherwise have to start the day hungry, are being provided with a decent breakfast thanks to this very dedicated team. Working in conjunction with the schools, everybody both locally and further afield can contribute by providing assistance in the form of a tax deductible cash donations or by giving disposal plates and cutlery. There are many other ways to help and the good folk at Avocare would be happy to assist you if you give them a call or drop into one of their shops. You can support the Cranbourne op shop with donations of unwanted goods as well as your patronage as a customer. They offer a selection of new jewellery and end of line products such as tights and stockings, handbags, wallets and purses from retail outlets, in addition to second hand clothing and furniture, toys, books and home wares, along with plenty more. Priced exceptionally well, you can pick up a swag load of bargains at unbeatably good prices. 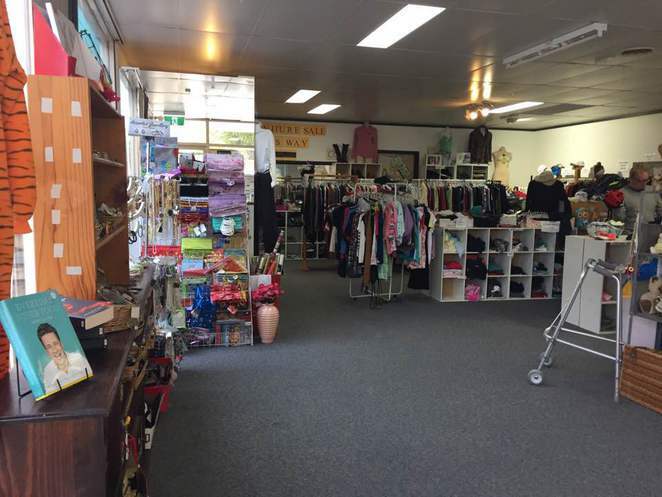 The Avocare Op Shop, located at 13 Grace Street, Cranbourne is open every weekday from 9.30am to 3.30pm. Other Avocare Op Shop locations include Menzies Avenue, Dandenong and 1/95 Hartnett Drive, Seaford. If you'd like to enjoy a night out with friends in support of Avocare, why not book a table at the Avocare Trivia Night. Being held on Friday 21st July 2017 from 6.30pm, tickets are priced at $25 per person with 10 to a table. Finger food will be provided, with drinks available to purchase at bar prices. The trivia winners can expect to scoop up some great prizes, and there'll also be raffle prizes to be won. 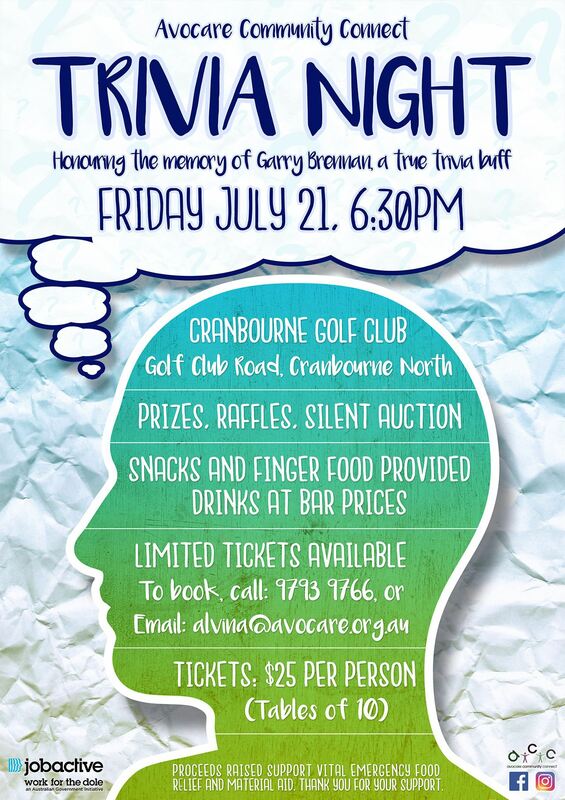 The Avocare Community Connect Trivia Night is being held at the Cranbourne Golf Club, Golf Club Road, Cranbourne and tickets can be purchased by phoning 9793 9766 or email alvina@avocare.org.au. Money raised will be used to provide emergency food relief and material aid to those in need. Find out more about Avocare by visiting the Avocare website and Avocare Facebook Page by following the links here.